Test blood drawn from the DUI suspect is an option available in many states to police under the states’ various implied consent laws. (Implied consent means that you agree to submit to a test when asked by police acting with probable cause to suspect alcohol use, or forfeit your driving privileges). Breath tests are more commonly used by police because they are easier to administer and are probably easier for prosecutor to introduce as evidence in a trial. This is because blood test evidence involve using more witness and a longer chain of custody for the evidence. States usually require that no other person than a physician, registered nurse or a phlebotomist qualified by the state can draw the blood for purposes of determining the alcohol concentration. Each state typically has guidelines stating how these tests are to be taken, transported, preserved, secured, and analyzed. The method preferred by most states is a process called "gas chromatography" or "GC". This testing method utilizes a measuring technique of comparison of a known "standard" to the subject’s sample. These standards are usually certified pre-mix solutions, which have been tested and re-tested for being reliable "markers" for the GC device. The internationally accepted "standard" for such testing is a gas chromatography, mass spectrophotometry device, or "GC-MS". This piece of equipment is capable of isolating and identifying a wide range of drugs, including alcohol. It does this is by matching the digitally produced peaks appearing on a graph-like sheet of computer paper. The computer tracks the time of the introduction of the sample and the exit of the sample from the device and then identifies the substance based on how long it took the substance to pass through a column packed with inert material. Charts and notebooks are kept in the crime lab that tell the lab scientists how long the known alcohol sample took to pass through the column. Once the printout of the peaks is finished, the laboratory chemist can compare the time of retention to the lab notebooks showing retention times for alcohol or other drugs and chemicals. A good defense attorney may be able to challenge a blood test on a number of grounds. People staff hospitals and state crime labs. People often make mistakes. They might be new on the job, or improperly trained. Records may not be kept properly or maintained. A misstep in a procedure may invalidate a result. Just because law enforcement officials have taken a blood test that seems to indicate a result over the limit for a DUI or DWI, does not mean the case is over. 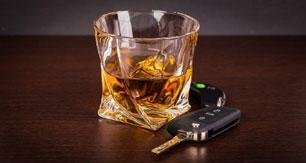 That is one reason for hiring one of America’s DUI and DWI Defense Attorneys to represent you and protect your rights.